Last night Michaela and Pauline led the first workshop in the pottery in the cellar of our house. It is really exciting to see this space coming alive- and to see beautiful objects being shaped out of what are essentially lumps of mud. Last night people spent some time at the potters wheel, and also made a slip decorated cake plate. Results were very impressive for first time potters! Over the next few months we intend to spend time developing part of the old house into Bed and Breakfast, but already we have self catering accommodation available in our cosy annex. If you are considering a break in Scotland, perhaps it might be worth combining this with some potting? We can tailor a residential potting experience! If you contact us via our website, mention this blog and you will be eligible for a discount! For locals, there are details of Michaela and Pauline’s craft courses here. 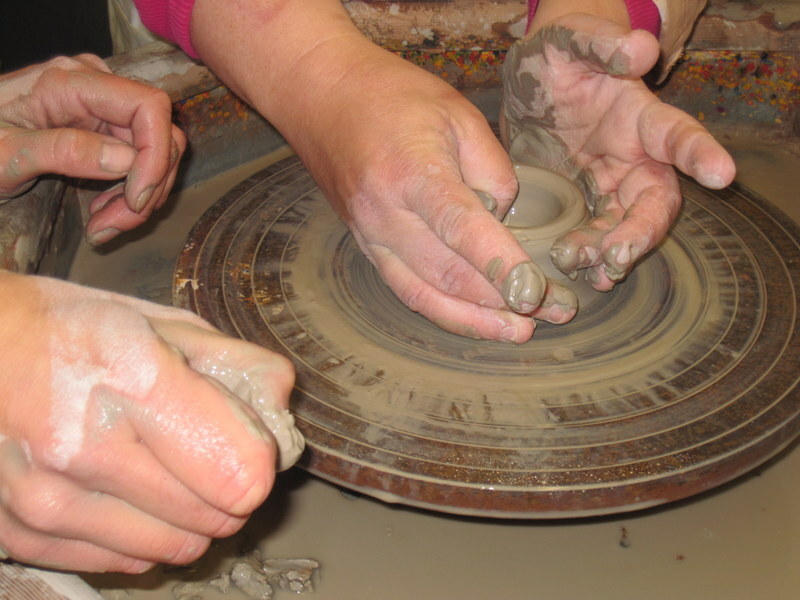 This entry was posted in Uncategorized and tagged bed and breakfast, Dunoon, Potters wheel, pottery, pottery workshops scotland, residential pottery course, Scotland by Chris Goan. Bookmark the permalink.